Russia. Moscow. 31 August 2015. Mounted police on Red Square during the preparations for the festival "Spasskaya Tower". 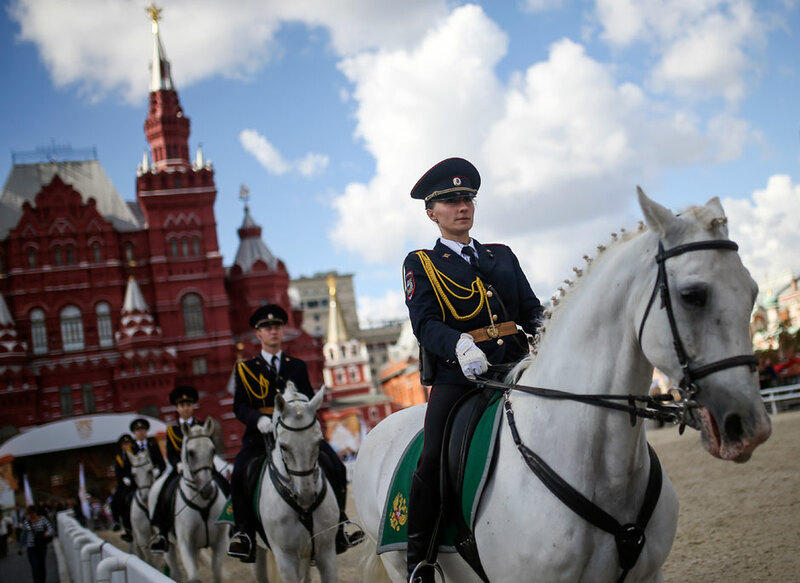 Mounted police on Red Square during the preparations for the festival "Spasskaya Tower".